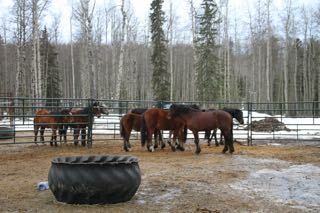 On Tuesday, February 24th, we attended at the auction mart to select and rescue as many of the 12 horses that were brought in over the weekend. This is still such a difficult process for our members. 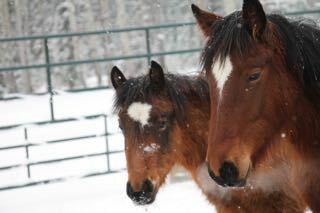 We were able to bring home 6 new young ones–3 fillies and 3 colts. 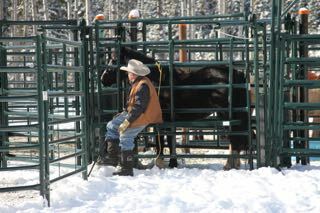 Right here we want to thank the staff at the auction mart for how they’ve handled the horses and how they have assisted us in our efforts. 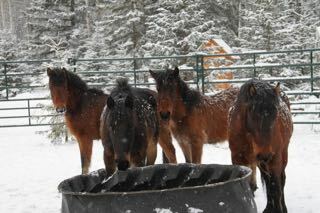 Also they have committed to not allowing any of these horses we have had to leave behind go to meat buyers. 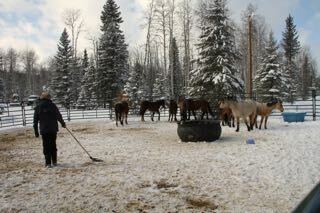 WHOAS has also been in conversation with individuals and a couple of horse ranchers to attend the auction and purchase for themselves some of these older horses. This is great. 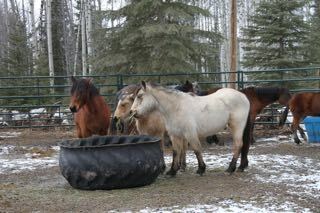 These are our new charges who have settled in nicely and quickly in our facility. Once unloaded it did not take long for them to start making introductions to some of the other horses we had rescued through the fence panels. 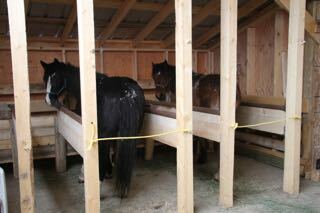 Again they will be allowed a few days to figure out the system – lots of hay and fresh water and activity. 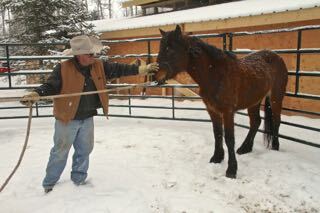 The first stage of the gentling process is the pen work, getting the horses used to you and being touched, as our volunteer was doing. The next step is getting them haltered. 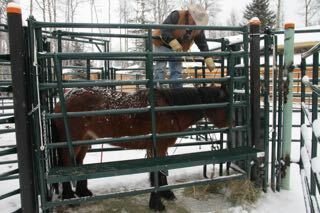 Here one of the young fillies is in our chute which allows us to gradually place the halter. 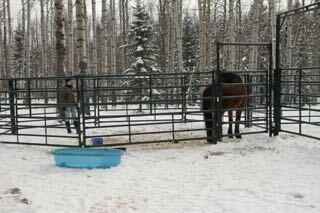 This young filly has spent some time in here so she doesn’t get excited. Another phase when they are in the chute is to get them further used to being touched and here a very soft brush is used to stroke and soothe the new trainee. After having the halter on her, she is led out of the chute with a lead rope on her. With our method they quickly learn not to pull back and to step forward. This first touch is so important to begin to gain their trust. So far we have haltered 5 youngsters and getting them used to being led and handled. We make sure that all our volunteers are very calm and relaxed around the horses and this helps the horses to be calm while being gentled. After the new charges get used to their leads and being tied, they are brought into the stalls where they learn there is abundant hay all to themselves. This process is also very important as it allows us to go on either side of them to brush and get used to the close contact. As anyone that has horses knows, that once they have finished their dinner it quickly passes through and leads to our next biggest activity. So this is assuring that the pens are kept as clean as possible and is an ongoing daily job. This also helps the horses get used to human activity which will help them get accustomed to their new homes with new prospective owners. Stay tuned for more updates in case we have more arrivals.